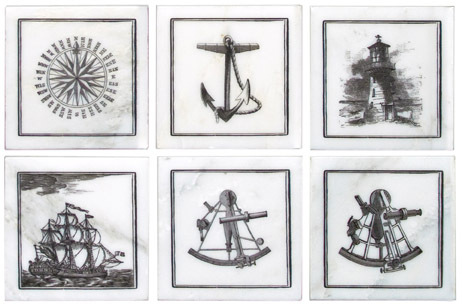 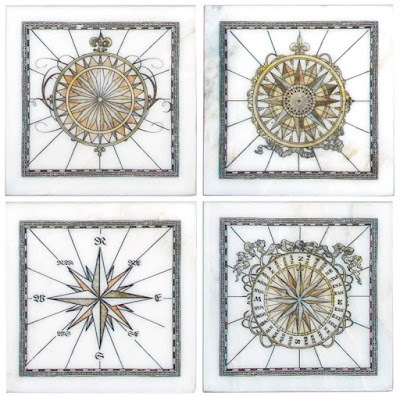 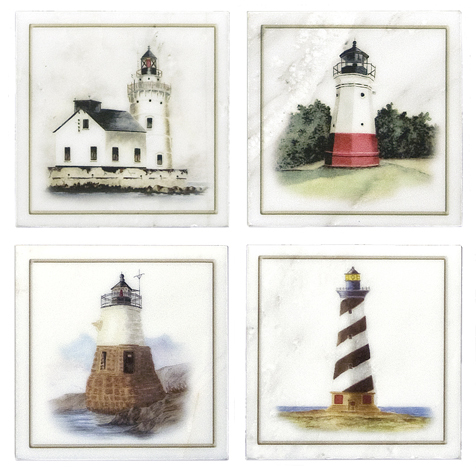 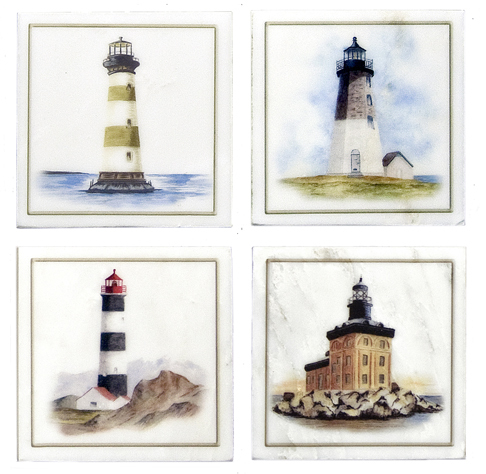 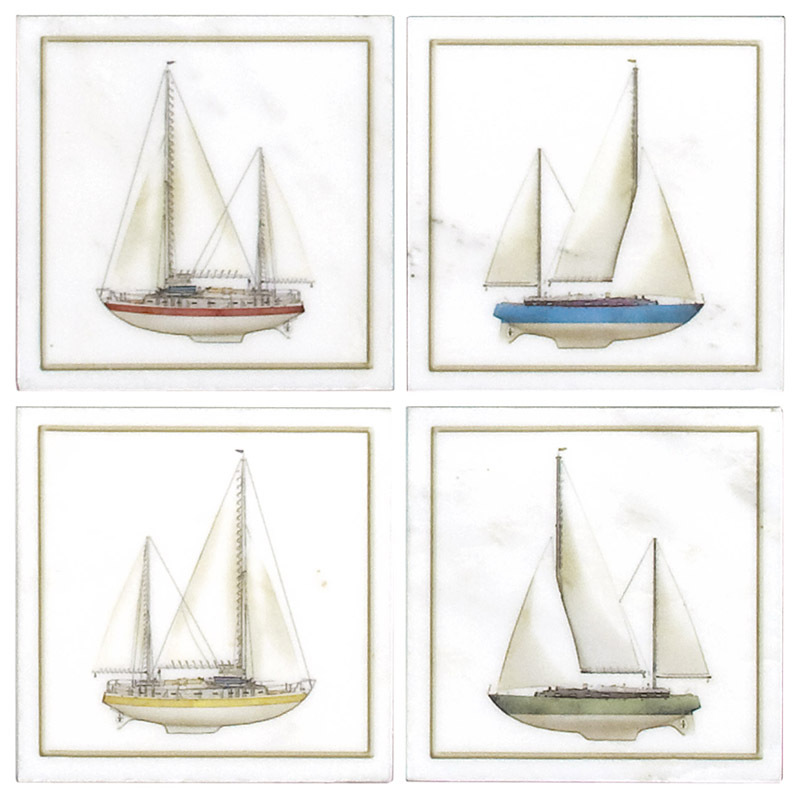 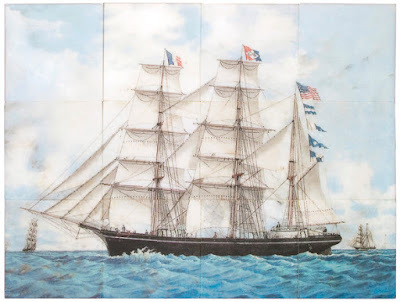 Nautical Tiles on Carrara have arrived! These designs are perfectly suited for our new stone type - Carrara. 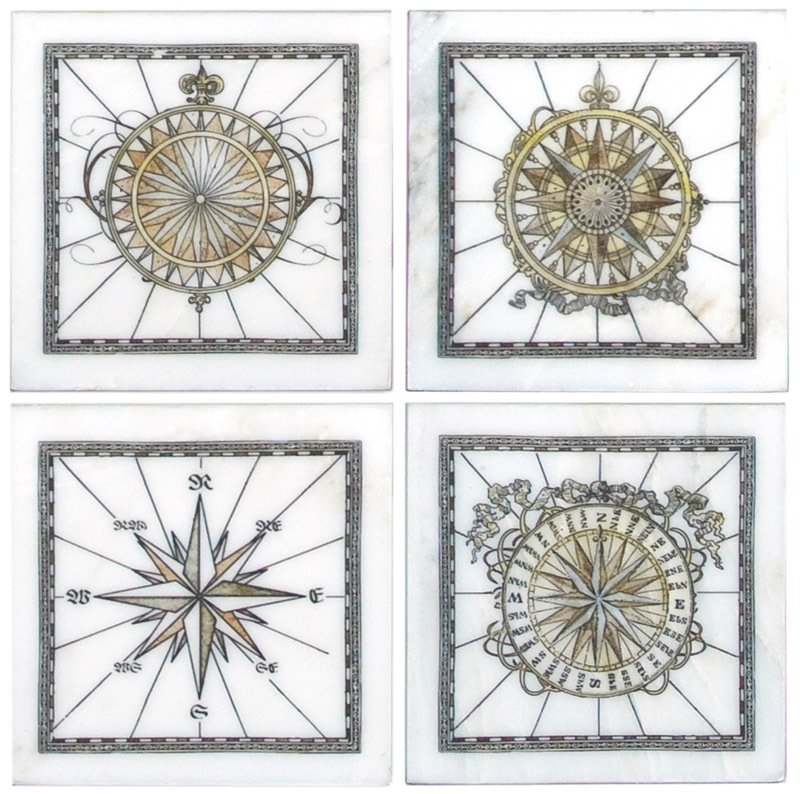 Carrara is a beautiful white marble with clean lines. 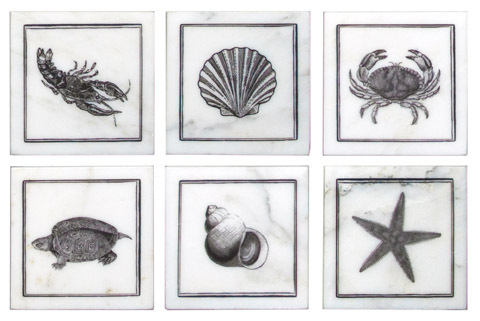 So far, for everything that we have printed on the Carrara tiles, the colors just sing!